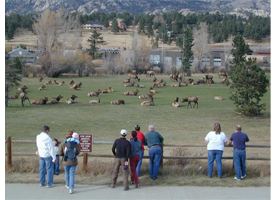 Visitors to Rocky Mountain National Park and Estes Park are presented with unlimited options for recreation. There is so much to do here that it is important to make sure you don't miss the areas' signature activities. For example, a scenic drive over Trail Ridge Road is an essential part of a vacation to RMNP. A hike around Bear Lake often makes it to the top of the list too. Winter, spring summer and fall, Estes Park offers limitless activities with awe inspiring natural landscapes as the backdrop for your adventures. The best recipe for building memories here is to spend plenty of time exploring both indoors and out. 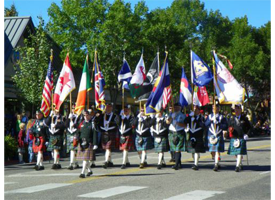 Estes Park is host to many exciting events throughout the year such as Elk Fest, Scottish/Irish Festival, Winter Festival, Jazz Fest. Check out the calendar of events before you come and include a special event in your schedule. 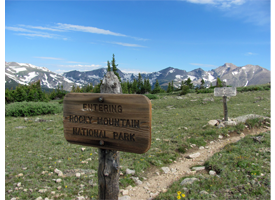 Rocky Mountain National Park was first established in 1915 and protects over 415 square miles of subalpine and alpine worlds. It is one of the nation's premiere parks and much of it is designated wilderness. Visitors can enjoy abundant wildlife viewing and spectacular scenery.